Home and business security systems have evolved over the past decade or so, from static wall mounted control panels to wireless touch screen activated systems. This gives the advantage of being able to control numerous security devices and secure all types of premises, from small business units to complex buildings with multiple access points. The equipment available to both the public and business sectors is considered cutting edge these days. 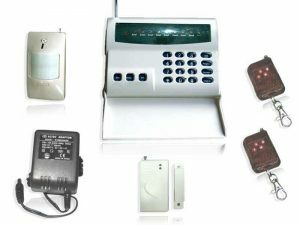 The equipment ranges from high end state of the art motion detectors, high resolution cameras for CCTV surveillance to tablets that are assigned as wireless control units, this in turn means that alarms are able to communicate with the owners of the property. With the increase of wireless connectivity becoming more prevalent in the everyday lives of society, it has given people more ways of connecting with others, keeping in contact, making new acquaintances, increasing social skills. This also gives more means to communicating with devices installed into the premises of your average home or business premises. This has become a more consumer involved experience meaning ease of use, rather than having to rely on an engineer having to explain the finer details to the end user. It has become a more friendlier experience, meaning more people are taking the step into securing their home or business. These forms of electronic monitoring services have greatly increased everyone’s awareness of the environment they are securing from mobile viewing via most CCTV products available quite readily these days, to sound activating devices, light control, temperature monitoring all in a daily schedule, which all the above can be controlled through a single interface. Access to your property could soon even be activated via your GPS through your ‘phone or a transmitter. What is clear, is that the future of security technology is certainly bright, and the advancements over the next decade are surely going to be fascinating to see for industry experts!